Forms a loose mat of rosettes and red runners. Leaves light green, linear, 7-15mm long, delicately margined with glandular hairs. 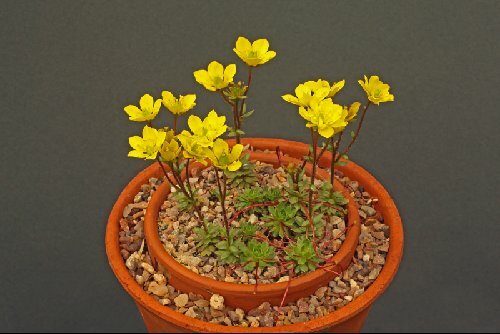 Flowering stems 5-8cm tall bearing loose cymes of three to four relatively large and decorative buttercup-yellow flowers, petals 6-8.5mm long. The plant spreads by means of a mass of delicate red runners at the end of which new rosettes develop and root. It is widely distributed throughout the subarctic regions of Europe, Asia, the Himalaya and Canada and even through the Rocky Mountains as far south as Arizona. It has been divided into several subspecies: S.f subsp. platysepala for the circumpolar plant, subsp. 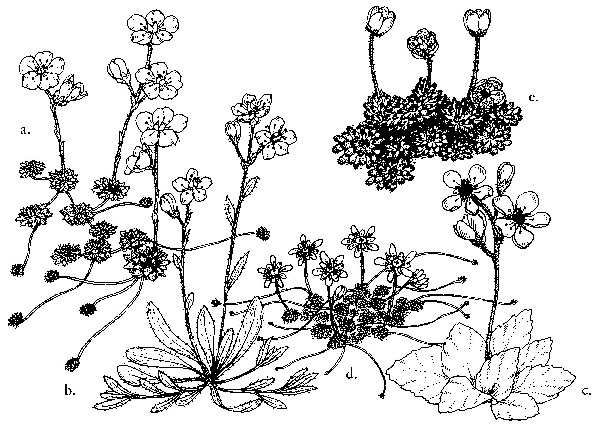 flagellaris for the Caucasian plant and subsp. komarovi and subsp. stenophylla for the Himalayan forms. 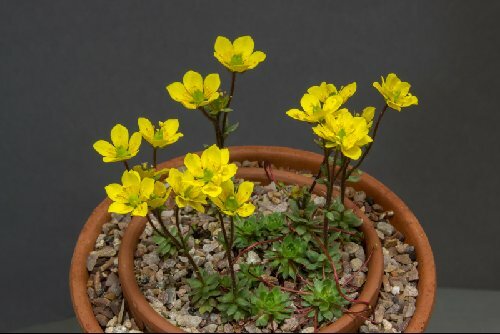 It is not easy in cultivation as it requires plenty of summer moisture and dry winter conditions which means alpine house treatment. Needs a very open and gritty compost. Like its close relative, S. brunonis, it can make itself at home in the bench plunge material.